Assignment name: Technical assistance to support Freetown City Council (FCC) in developing capacity to promote, regulate, monitor and evaluate FSM services in Freetown, Sierra Leone. Business development and mentoring to strengthen private service operators in the city. Over 90% of the population of Freetown in Sierra Leone relies on on-site sanitation facilities such as pit latrines and septic tanks, but only a small proportion of the faecal sludge generated is disposed of safely. Most is illegally dumped into drains or natural waterways or buried, presenting serious health and environmental risks. Cholera outbreaks in Freetown are frequent and in 2012 more than 20,000 people succumbed to the disease, leading to nearly 400 deaths. 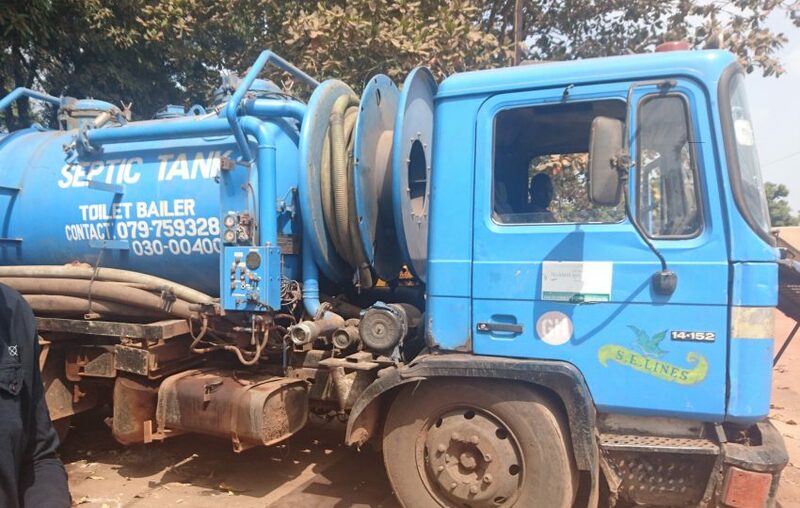 The Freetown City Council’s (FCC) municipal development plan aims to improve water, sanitation and hygiene (WASH) facilities and strengthen faecal sludge management (FSM). This will be achieved by working with existing service providers and improving faecal sludge treatment and disposal. We’re working with FCC and the international NGO GOAL to develop viable city-wide FSM services. Project objectives include the strengthening of the regulatory environment and the effective participation of the private sector along all stages of the chain. Our approach centres upon the development of FCC’s capacity to promote, regulate, monitor and evaluate FSM services, while at the same time strengthening private sector operators to provide services to an agreed standard and build their businesses to respond to the increasing public demand. We’ve helped establish a FSM unit within FCC to regulate FSM services. We’ve also supported the institutional design of this unit and its call centre, as well as established a monitoring and evaluation system for the service providers responsible for faecal sludge emptying, transportation, treatment and disposal. Our support to private sector operators is being undertaken in collaboration with the professional services organisation EY, which is providing training and mentoring in technical and business management skills for selected small and medium enterprises (SMEs). Its aim is to create sustainable economic opportunities along the faecal sludge chain. An effectively regulated system with transparent standards should help the private sector provide effective and efficient FSM services that will last beyond the life of this project. The FSM unit of FCC became operational in October 2016. We helped develop its annual work plan and provide on-going mentoring support to the unit staff. The team’s inputs have included the development and roll-out of standard operating procedures (SOPs) for FSM service providers. These SOPs were developed and approved in discussion with FCC, the Ministry of Health and Sanitation, and private sector service providers. We’re also supporting the creation of a call centre for the unit. This will channel demand to registered private sector operators, and receive and respond to any grievances associated with the service. We’ve worked alongside EY with three of the top performing SMEs to develop and implement their individual business models. The partners are supporting the SMEs to access finance and are providing on-going mentoring in administration and finance.